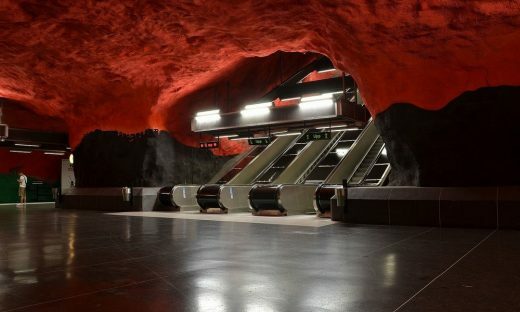 Have you heard of Stockholm’s underground? 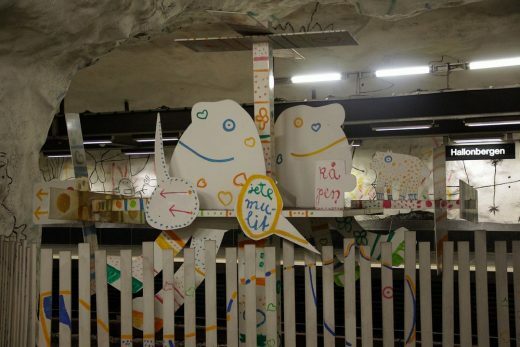 The underground in Sweden’s capital (in Swedish tunnelbana) is world’s longest art gallery, 110 km (68 miles). With art in 90 out of its 100 stations, created by over hundred different artists this art display is something out of the ordinary. Rådhuset station. 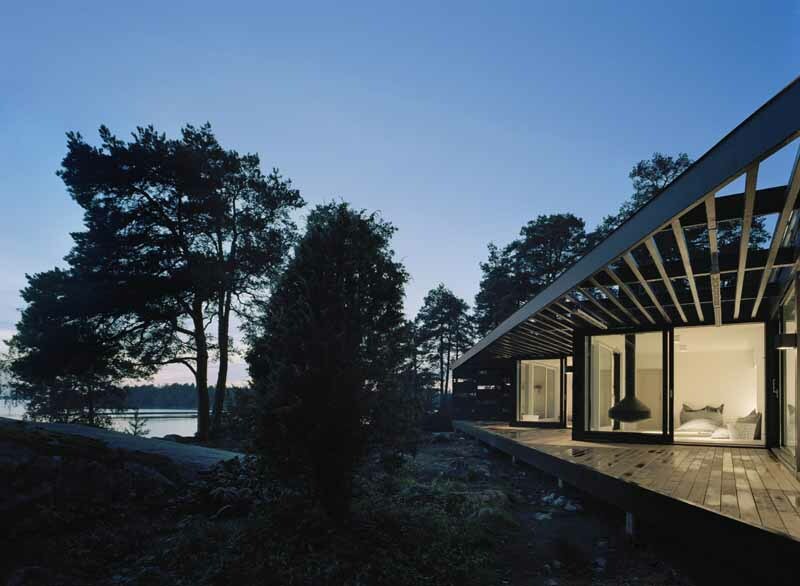 Photo: Arild Vågen, CC 4.0. The first plans of building a subway system started already in late 19th Century (1800s). At that time, the tram network wasn’t deemed sufficient for the city’s character and range. The first subway line was established in 1950s but it took another 7 years before the art installation at the T-Central (Central station) was inaugurated. Exactly 60 years ago the metro was extended. In 1957, the two parts were connected via the Central Station (at T-Centralen and the Old Town (at Gamla Stan), forming the Green Line. This argument was a societal issue then, as much as it is now. In the 1950s the artists Siri Derkert and Vera Nilsson brought this to the forefront and turned this into a political debate, after research done in Paris, indicated that the Parisians spent four years in their lifetime on the subway. By installing art on the subway, the art could become more accessible to the public eye and have a positive effect on their everyday life. The first competition in Stockholm was announced in 1956 and 21 different artists did later get the honor to install their art. 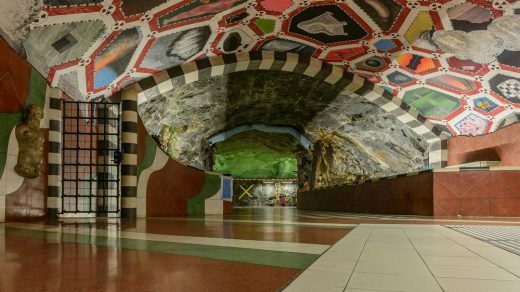 Some artists had more radical ideas than others and in the 70s, a jury called Trafikens Konstnämnd – a committee deciding who can install art on the different stations – got established. Expedia’s Underground Art introduces the highlights of the public art works on the tube. Stadion– A tribute to the Olympic Games, which Stockholm hosted in 1912, and was the first with representation from all continents. The Olympic colours have been used to create a giant rainbow as you walk onto the platform. Stadion station. Photo: Arild Vågen, CC 4.0. 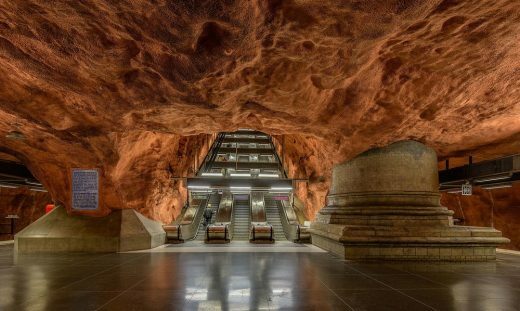 Högdalen– A station outside can sometimes feel very cold and lonely. 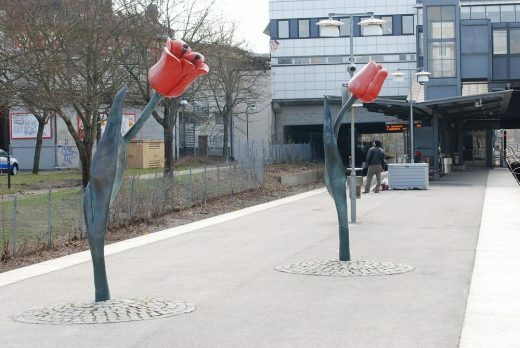 So, the artist Birgitta Muhr has created several tulips to keep travellers company. Högdalen station. Photo: Broberger, CC 4.0. 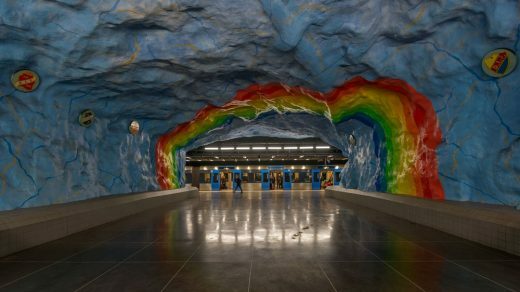 Solna Centrum – To the untrained eye, this station is an explosion of intense colours. However the walls here are covered with issues relevant to 1970s Sweden: rural depopulation, deforestation and the new environmental movement. Solna station. Photo: Pudelek, CC 4.0. Kungsträdgården – The station has been transformed into an underground garden, with the prominent use of green symbolising life and nature. The station also tells the history of the former royal garden and the long lost palace of Makalösa. Kungsträdgården station. Photo: Arild Vågen, CC 4.0. Hallonbergen – A number of children’s drawings have come to life at this station. You can even play hopscotch whilst waiting for your train.